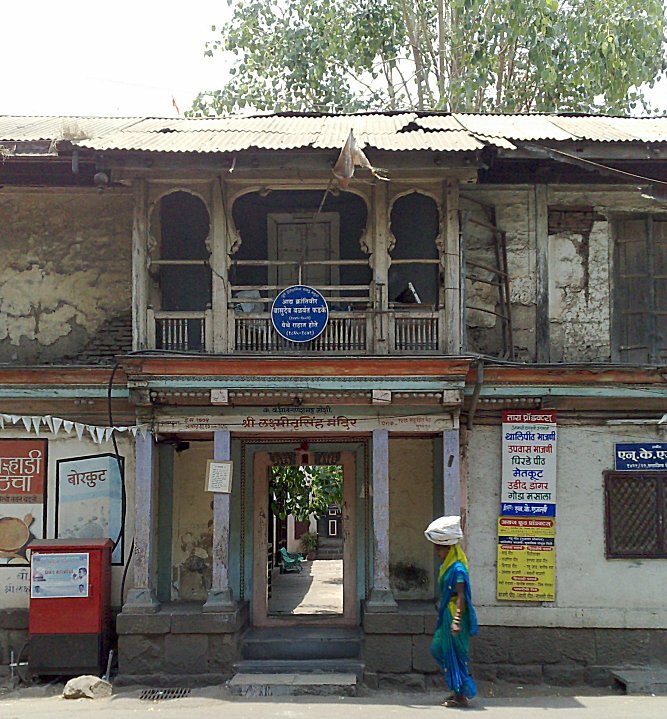 Located at 1420, Sadashiv Peth, this wada was built in 1774 by V. S. S. Ganeshbhatt Joshi. In 1773, mutiny by the Council of twelve (बारभाईंचे कारस्थान) had overthrown Raghunath Rao as Peshwa. The governance of the Maratha Empire was in the hands of Nana Phadnavis, regent for the infant Sawai Madhav Rao Peshwa. 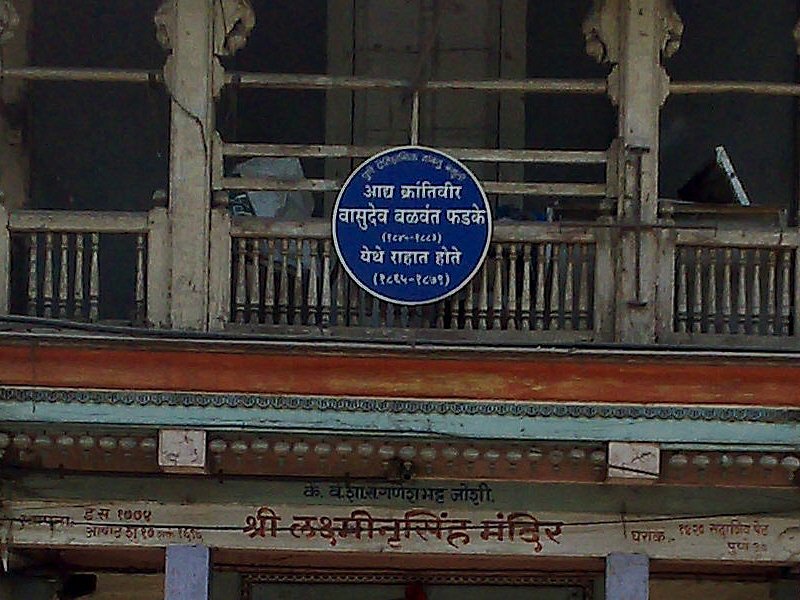 India's freedom fighter Vasudeo Balwant Phadke(1845-1883), lived 15 years, in this wada from 1865 until 1879. The idol(मूर्ति) was brought from Panchvati (Nashik Dist.). It is made of polished white marble and has a silver crown and ornaments. The Lord's reposing seat -- the thousand headed divine serpent -- Aadishesha is also made of silver. 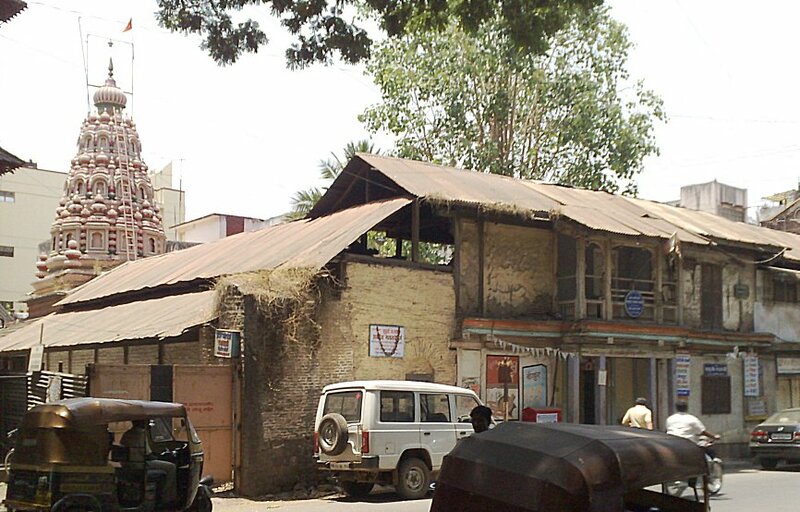 The temple has woodwork similar to that in the Vishrambaug Wada, and Nana Wada at Menavli. The temple itself is roughly 75 feet long east-west and 28 feet wide north-south. It is located in the South East corner of the Wada.